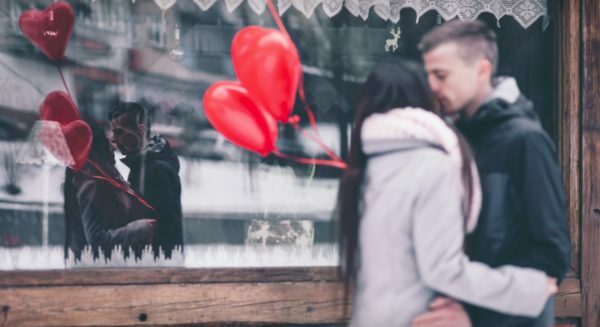 Show a special someone a whole new world for Valentine’s Day! 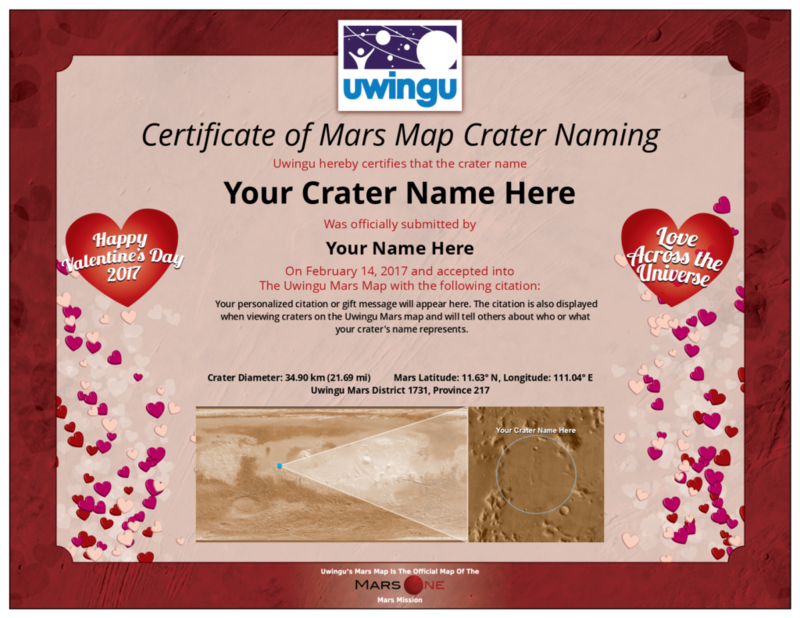 Space and astronomy public engagement company Uwingu announced today a very special way for anyone to celebrate Valentine’s Day 2017—by naming a crater on the world’s only citizen’s Mars map for a special Valentine’s someone. Prices start at $10, with half of each purchase going to fund space research and education grants through The Uwingu Fund. Each Valentine’s Mars map crater comes with a special, commemorative downloadable/electronic Valentine’s Day certificate. Naming of Martian craters by the public is part of an Uwingu project to create the first citizen’s Mars map, with names for all of the approximately 500,000 unnamed features there. Craters can be named for anyone, including friends, family, co-workers, heroes, pets, places on Earth or in space, sports teams, musical artists, and more. Uwingu’s citizen’s Mars map is already the most complete Mars map in the world with over 20,000 named features, and will be taken to Mars and used by two private space missions: Mars One and Time Capsule To Mars. Available crater sizes in Uwingu’s Mars map database range from under a kilometer (about a half a mile) across to over 350 kilometers (over 200 miles) across. Uwingu is a for-profit, public engagement space company based in Boulder, CO, led by senior planetary scientists and astronomers (see http://www.uwingu.com/about-us/who-we-are/). Uwingu’s missions are to connect the public to space and space exploration in new ways, and to create a grant fund to support a wide range of space efforts by individual space researchers, educators, and organizations.